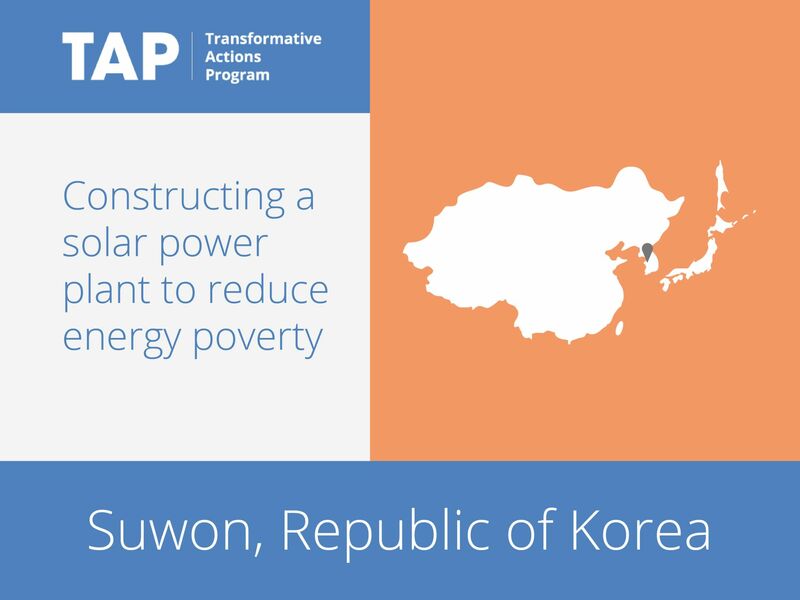 To help with energy security and greenhouse gas emissions reductions, Suwon is constructing solar power plants in partnership with civil society. The city plans to construct 20 plants, and has already constructed three. Awareness campaigns will help to engage citizens. The plants are expected to produce 2,410MWh per year, to reduce CO2 emissions by 1,000 tons, to replace 500TOE of fossil fuels, and to create KRW 15,000 million of total net profit in the project period. The projected profits will be used to benefit the urban poor, the elderly and the unemployed, increasing social cohesion.